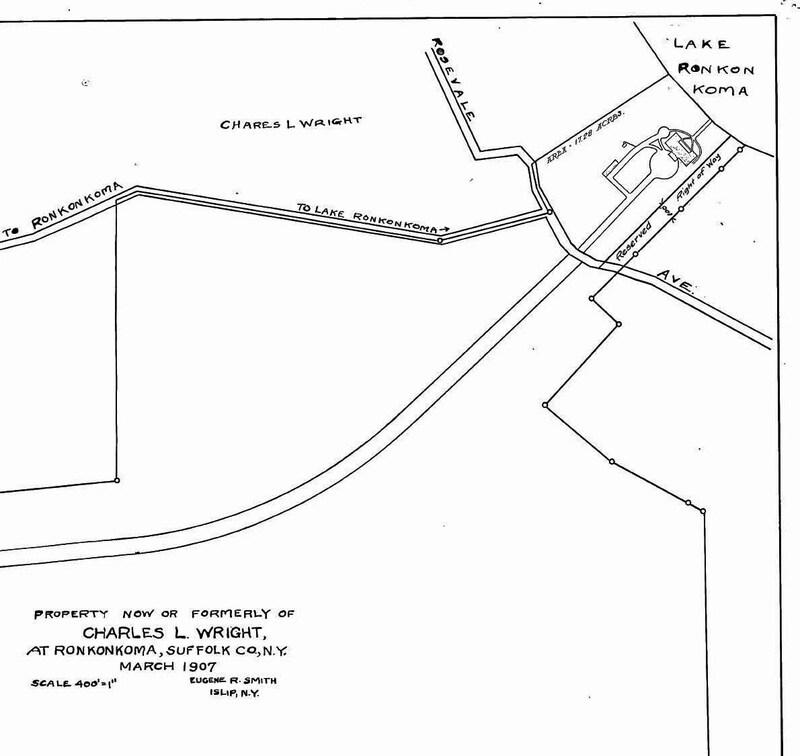 The largest parcel of land purchased by the Motor Parkway for our favorite road was 891.21 acres in Ronkonkoma from Charles Wright. 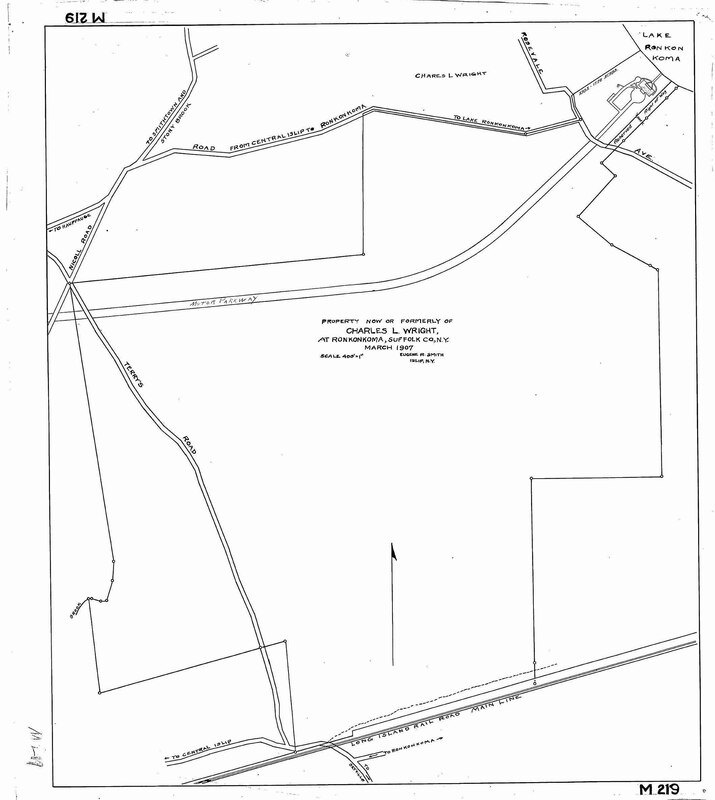 As seen in this 1907 survey, the property would become the eastern terminus of the Motor Parkway. 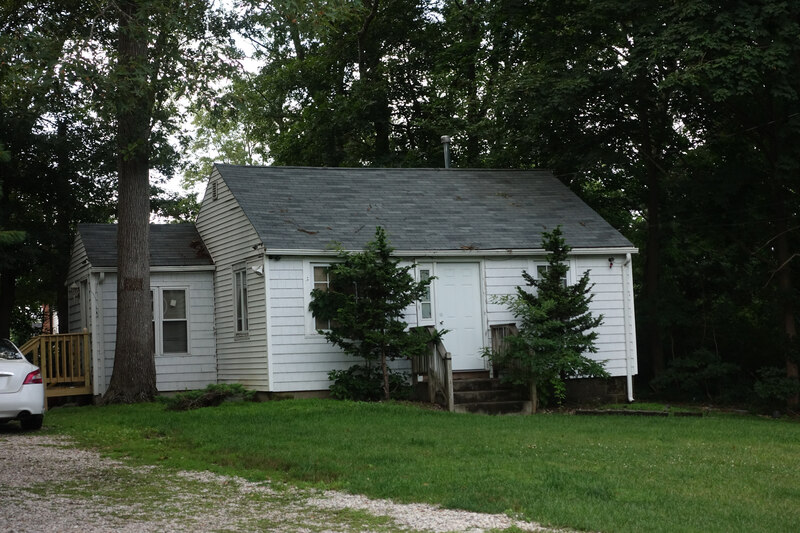 It included all the property east of Terry's Road and north of the LIRR track. As early as March 1907, the location for the Petit Trianon was planned. Note: The reserved right-of-way located south of the Inn. In late 1937, sections of this property south of the Motor Parkway were offered for sale and caught the eye of real estate developer Walter T. Shirley. 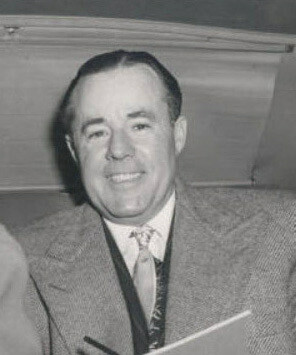 After World War II, Shirley would become famous for developing over 4,000 homes in the hamlet named for himself. 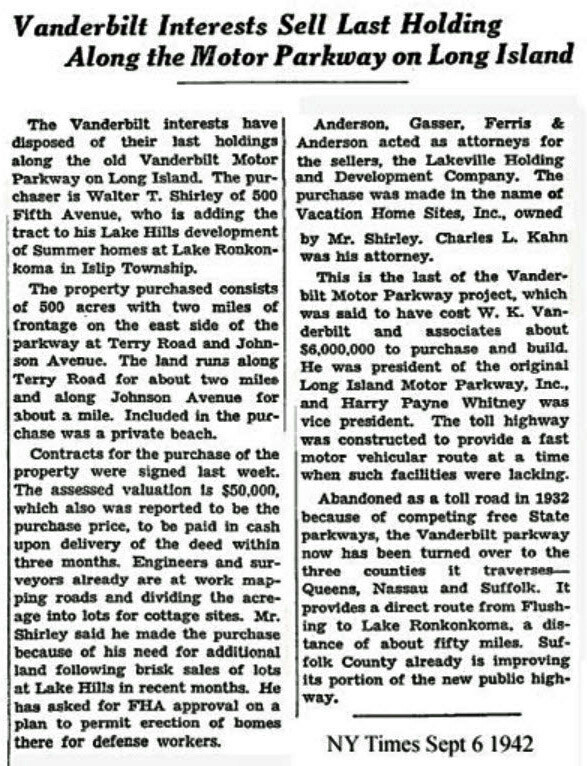 Walter Shirley purchased his first 250 acres from the Motor Parkway in 1937. Almost five years later, Shirley purchased an additional 500 acres "of the parkway at Terry Road and Johnson Avenue...including a private beach". 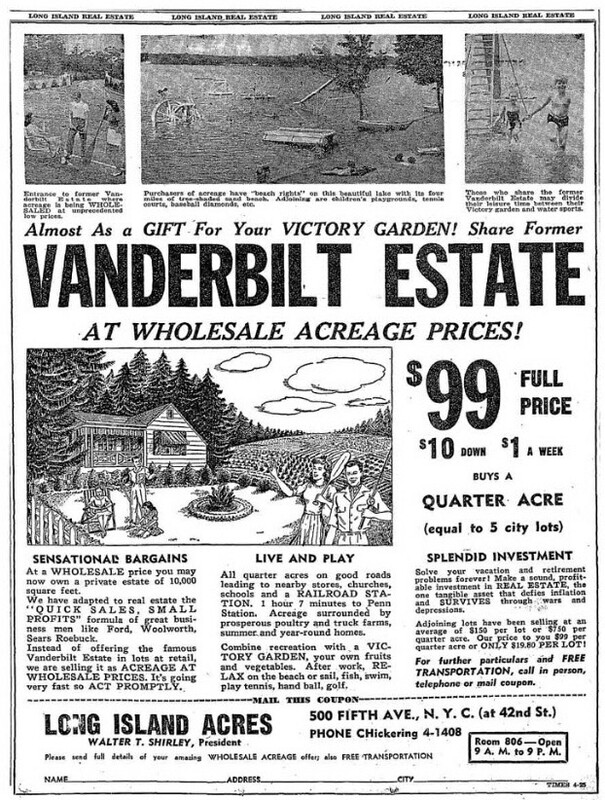 This ad ran around 1943 promoting Walter T. Shirley's Long Island Acres where the purchasers could "Share Former Vanderbilt Estate". For the record, this property was not part of Willie K's estate. 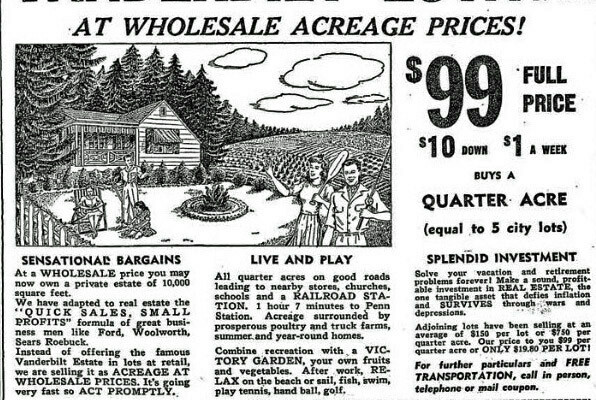 $99 could buy a quarter acre "equal to 5 city lots". Note the size of the house. The "entrance to fomer Vanderbilt Estate" was likely the entrance to the Petit Trianon Inn. 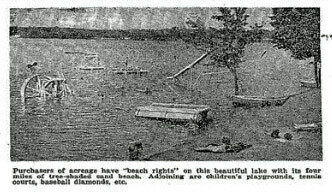 Purchasers of acreage had "beach rights", likely from the original right-of-way of the Wright property. 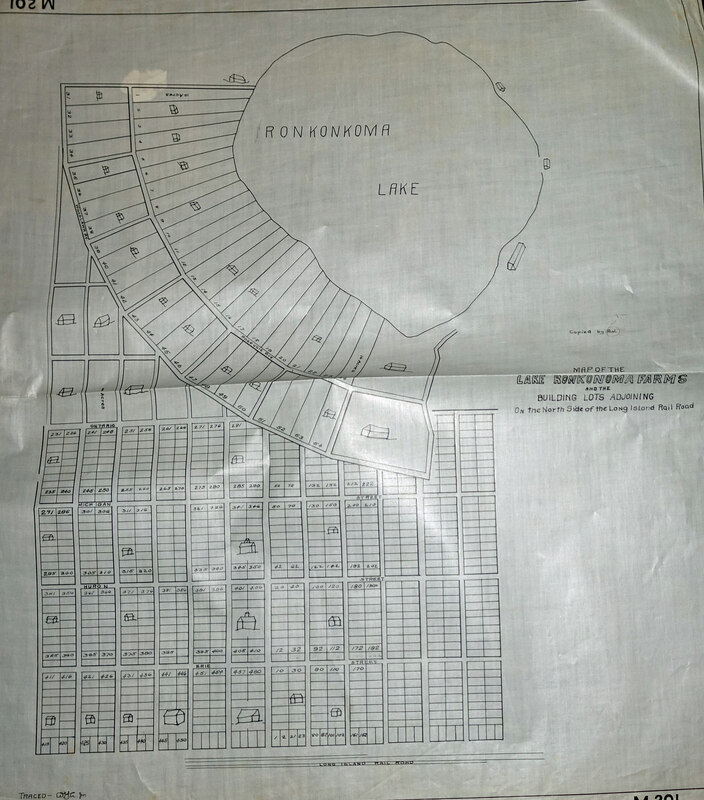 Update: A survey showing the lots in the Long Island Acres property. Many of the Long Island Acres homes have been expanded or replaced. Here is one home that has survived. Wow, how incredible are those prices…. Great fun reading that article…. As a Lake Ronkonkoma native, I find this fascinating. Thanks for sharing.